UK's original Fifth Wheel Company. New and used model 5th wheel trailers available in Manby Lincolnshire, UK. New and used fifth wheel in stock. The road to freedom begins with the Fifth Wheel. As the owner of a Fifth Wheel camper unit, you can say goodbye to dull weekends or cramped campers. 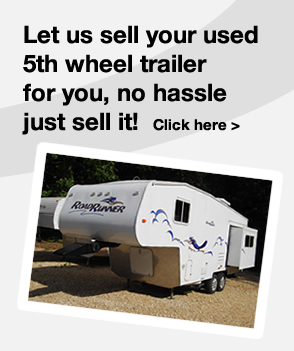 The UK's original Fifth Wheel Company, still supplying lightweight 5th wheel trailers today! WE ARE LOCATED ON MANBY PARK, IN THE LEFT HAND REAR CORNER OF THE PARK. AT THIS TIME OF YEAR OUR STOCK CHANGES FREQUENTLY, FOR UP TO DATE STOCK LIST PLEASE EMAIL YOUR ENQUIRY. THANK YOU. Fifth wheel trailers always in stock, full UK spec, with the VOSA required handbrake. Niche are one of Britains best 5th wheel companies who specialise in supplying American fifth wheels and UK 5th wheel trailers of all types, fifth wheels for lightweight touring, American living trailers, For the best deals in the UK on 5th wheel trailers and a fifth wheel. New and used 5th wheels for sale in Lincolnshire, England. Lightweight 5th wheels are not a new thing but Niche have taken the latest fifth wheel designs and technology to custom build for the UK a great range of 5th wheelers built with the user in mind. Thank you for visiting our fifth wheel web site, this is a very informative 5th wheel resource website, we are continually adding to and updating the fifth wheel trailer content along with the latest fifth wheel information. Do not hesitate to contact us if you have a particular fifth wheel requirement. Bookmark this fifth wheel page and keep visiting regularly as we add more models both new and pre owned 5th wheels................................ OPENING TIMES: Mon-Fri 9.30am to 4.30pm. Saturday by appointment. If you are making a special trip to view our range of 5th wheel trailers please call first to ensure we will be open for viewing. 5th Wheel Dedicated Website ..